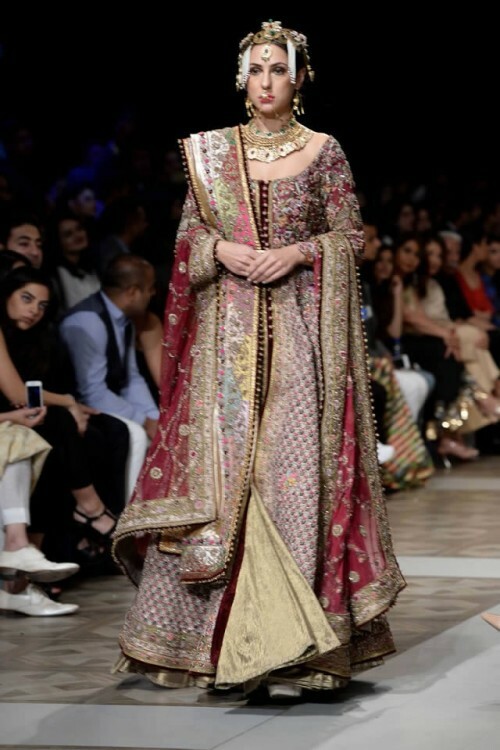 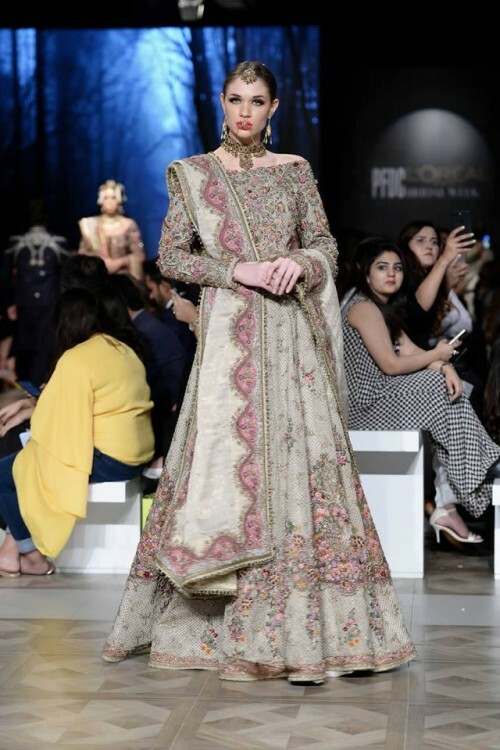 Fahad Hussain couture revealed the Hoshruba, Dara Shikoh aur Sunehri Churail, a bridal collection as the Grande finale for the 7th edition of the L’Oreal Paris bridal week. 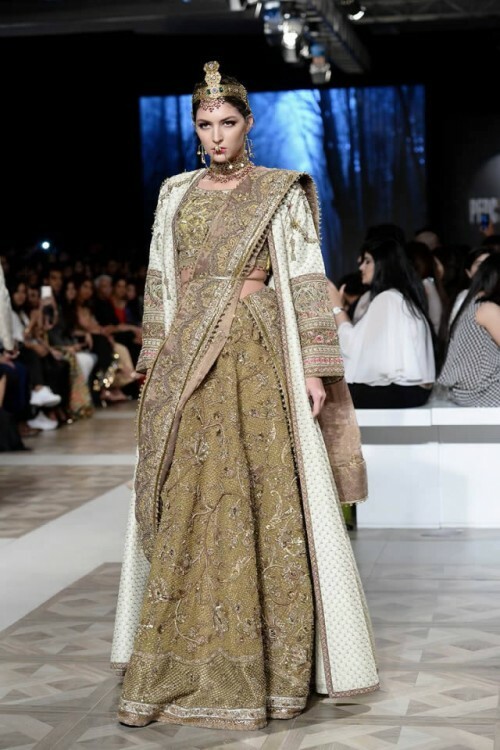 The collection took to the magical world where historical figures meet folklore in a splendid penned saga of more than life Mughal grandeur. 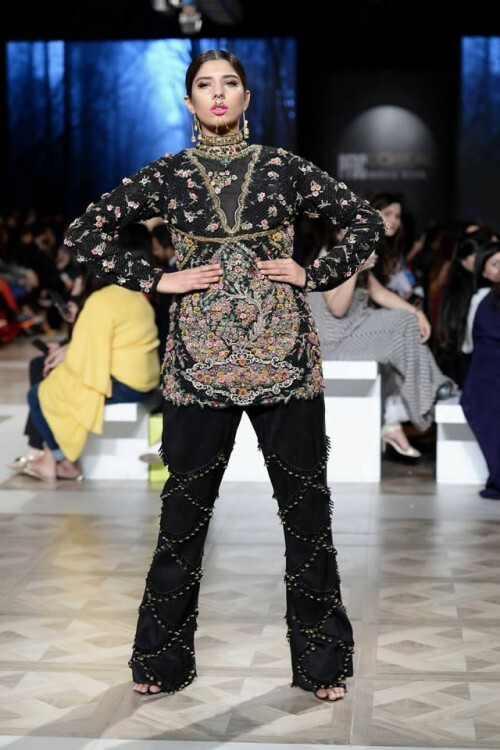 The story related to the Hoshruba shows a parallel universe of present time and inherent taboos and ideas related with beauty, love and war. 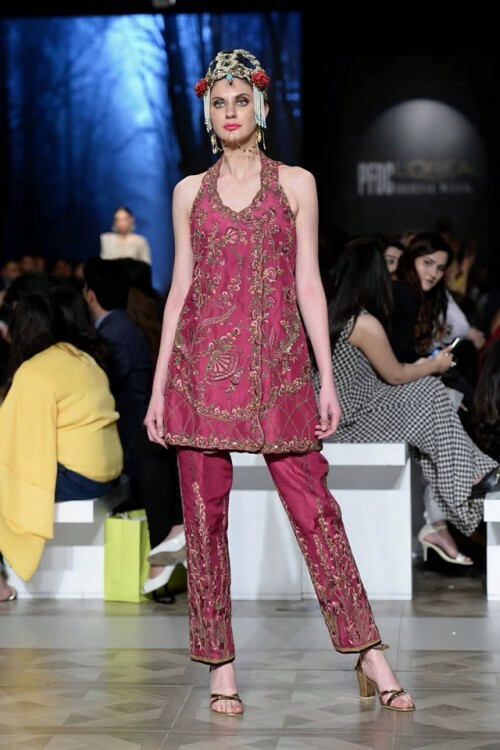 From taking Iranian influence and folklores in design, the collection includes Persian Islamic architecture executed along with drama and color. 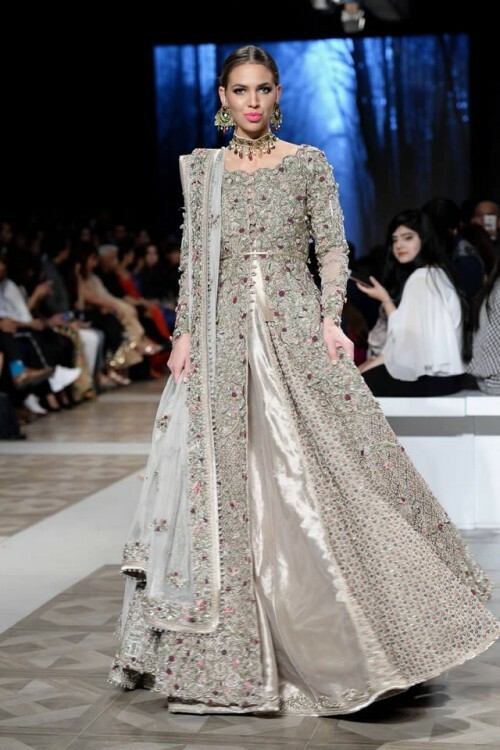 The collection includes interlaced with delicate hand work of exquisite craftsmanship on custom net, intricate silk thread embroideries, and 890 ther surfaces, the collection also includes the hand painted and vintage revival print. 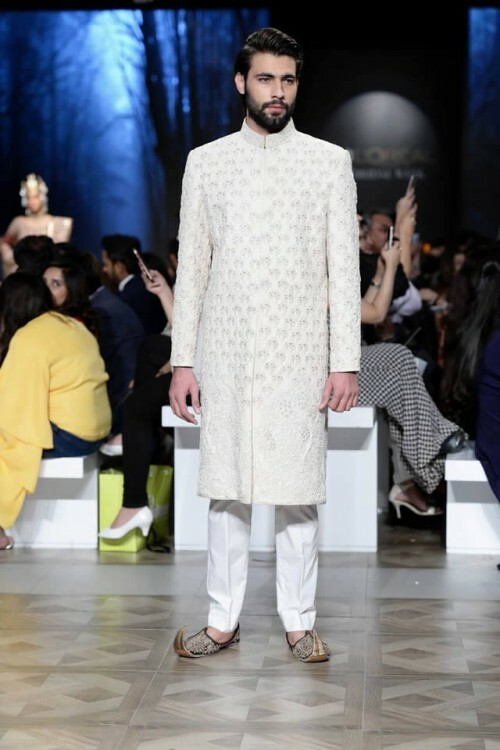 The collection also have exclusive one off cuts, hues and design with beautiful detailing that is the combination of best art, architecture and avant grade in the world. 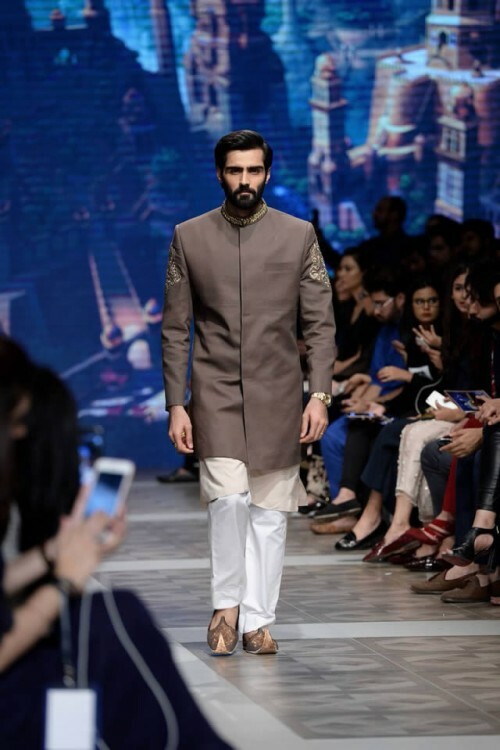 The collection also includes menswear. 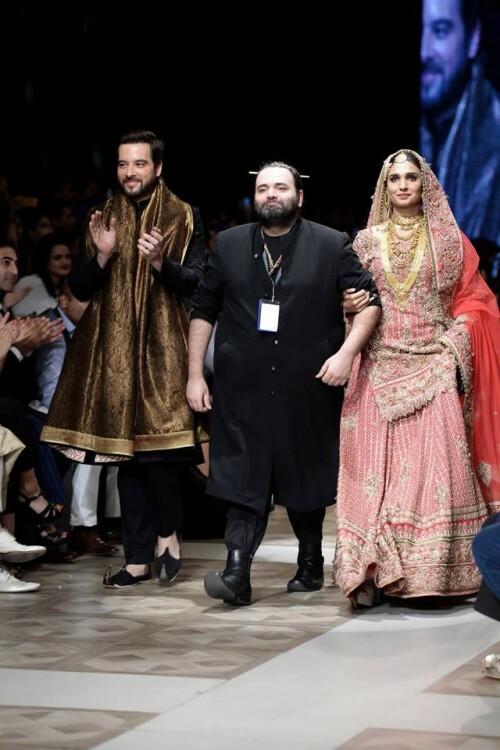 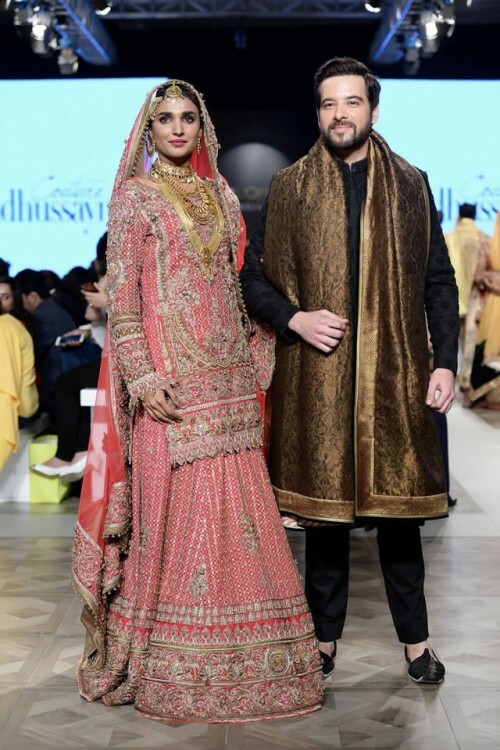 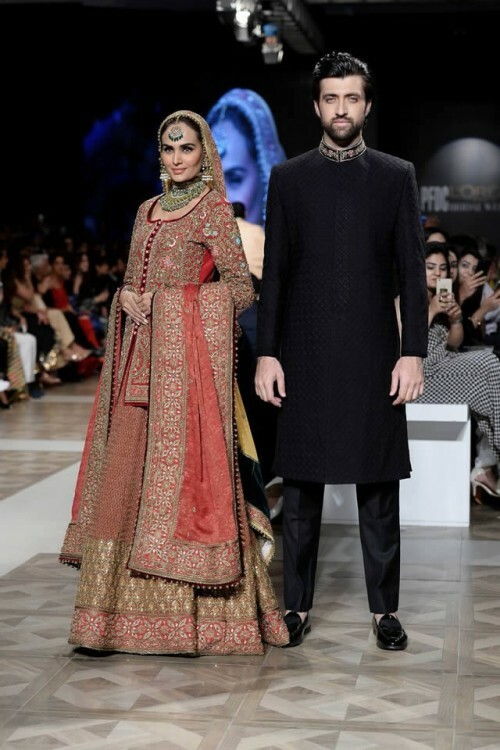 The actor Mekaal Zulfiqar and the model/actress Amna ilyas and the musician Ali Sethi and Zeb Bangash also participated in the designer’s collection. 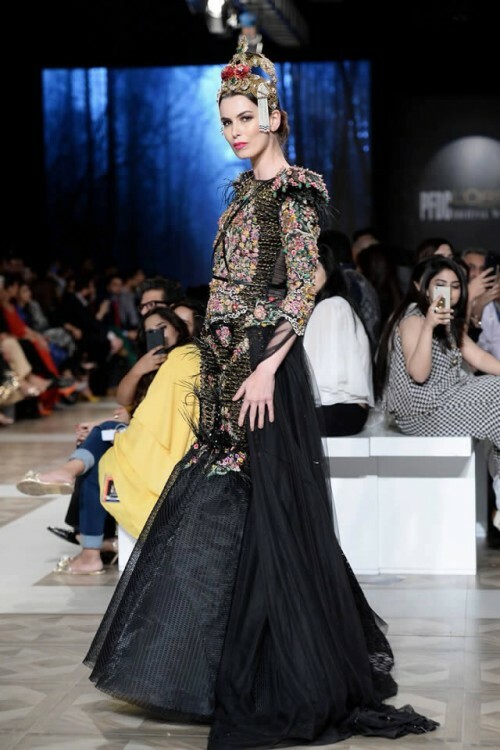 PFDC is the best platform to promote fashion in Pakistan and it’s just gets bigger and better every year. 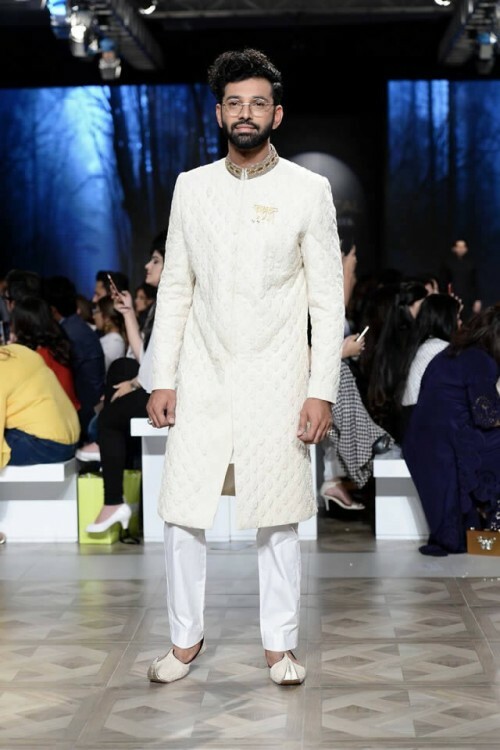 It is pleasure to work with the council. 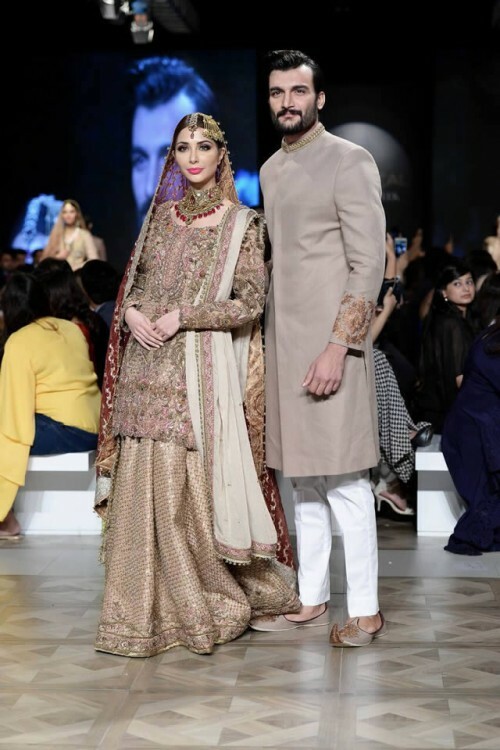 We hope that the PFDC L’Oreal Paris bridal week compliments our brand and we are so excited to showcase our collection in this season and we are looking forward to collaborate with PFDC in the journey of fashion in Pakistan.